Fat is bad, at least that is what we are told. But this is only half of the truth. Some fats may not be beneficial for your overall health, but this does not mean all fats are. Omega-3 fatty acids are fats that you should not cut back on. In fact, the more you have in your diet, the better. The two major types, EPA and DHA, are found in plant sources (seeds and nuts), as well as fish. Your body requires a certain amount of omega-3 fatty acids to function. According to Smarter Reviews’ in-depth guide to omega-3s, there are a number of benefits to adding these supplements to your routine. Triglycerides are the fat cells that hang out in your blood. When levels are elevated, you are at greater risk for cardiovascular problems and heart disease. Omega-3 helps to keep these levels low and, therefore keep your heart healthy. Omega-3s also support anti-inflammatory foods and medications, making these fatty acids ideal for fighting the stiffness and joint pain of arthritis. There is a reason that every baby formula and child vitamin contains DHA. This essential fatty acid supports neurological development in infants and children. If essential fatty acids are that necessary when we are young, chances are they are something we need to stick with through life. Omega-3 fatty acids have the ability to help your brain, as well as your body. Cultures that consume large amounts of fish and, therefore, omega-3 have been shown to have lower rates of depression. Omega-3s have also been shown to help with protection against dementia. Omega-3s can be found in fresh fish, flaxseeds, enriched eggs, edamame, grass-fed beef, and walnuts. The good news is that if these foods are not available to you, omega-3 supplements are easy to come by. Fish oil and krill oil capsules are in every health food store. While fish oil has been the traditional go-to when it comes to omega-3 supplements, recent noise about krill oil is changing the game. A great debate has erupted over which omega-3 is better ever since people started talking about how krill oil contains more beneficial components. The real cost: 60 percent of your brain is fat and DHA is the number one component required for efficient brain function. When you buy an omega-3 supplement, you are essentially buying DHA so the amount of DHA per supplement comes into play. As it happens krill oil, is actually low on DHA and ends up being more expensive than fish oil. 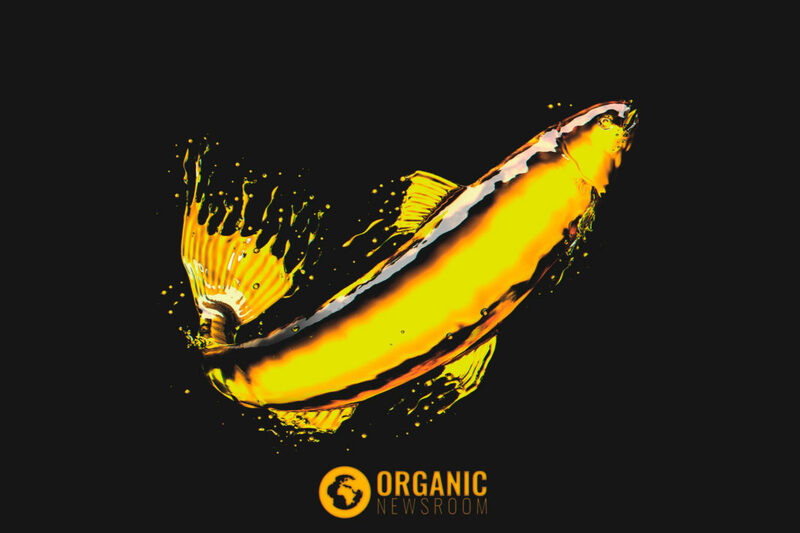 Toxic contamination: The truth is that all omega-3 supplements will likely contain some degree of contamination because not many marine sources are completely contaminant-free. That being said, krill oil contains less contamination because krill are not as overexposed as most of the fish that are harvested for their oil. Mercury: Marine life, in general, is infamous for being polluted with mercury. The warnings come on everything from supplement bottles to canned tuna. While both krill and fresh fish have exposure to dangerous mercury levels, the position of krill in the food chain me eating plankton. Minimal exposure to mercury means it is a more pure source of omega-3. Environmental impact: The popularity of seafood in recent decades has placed a great strain on the fish populations. In fact, the majority of fisheries are over-crowded or have collapsed. The harvesting of krill is not as extensive and because there are more krill per square mile (as an example) there are more available. Using krill oil, can relieve some of the pressure on fisheries and allow populations to flourish again. The nutritional content of krill oil consists of 14% EPA and DHA omega-3 fatty acids compared to 30% content in fish oil. In this case lower actually is better. The absorption rates for krill oil are substantially higher . A smaller dose provides more benefits. The composition of krill oil is different from fish oils in that it binds to phospholipids rather than triglycerides, making it easier to absorb into the bloodstream. Fish oil does contain more DHA and EPA, but you need to consider what the true value is. With certain fish populations growing close to extinction, the switch to krill may be a better choice for the environment. The antioxidant level of krill oil has over 300 times the power of vitamins A and E and over 34 times the power of the coenzyme Q10. Additionally, krill oil contains astaxanthin, which is a powerful antioxidant, not found in fish oil. The molecular structure of this compound allows it to be very effective at neutralizing free radicals at relatively small doses. Fish oil supplements get a bad rap for being difficult to swallow and leaving a bad taste in your mouth. Krill capsules are smaller, easier to swallow, and there is little to no aftertaste. Krill also represents the world’s largest single biomass, weighing in at 500 million tons. Less than one percent of the total krill population is used to extract oil each year, which means krill is a uniquely abundant source of omega-3. With fish oil as a source coming close to 90% fished out, krill is a better option for the long haul. This is not to say fish oil needs to be forgotten, but with another viable option, we do not need to force our marine life into extinction. The bottom line is that fish and krill oils both deliver DHA and EPA, which are essential for healthy neurological development and overall health. When the nutrients delivered are similar, it can be difficult to choose, and the talk of the town only complicates the matter. While krill oil does seem to have some advantages in terms of being more available, easier to absorb, and less of an environmental threat, it is also more expensive. Ultimately, fish and krill oils can provide the same benefits to your health so the choice will be a matter of personal preference. Review the information, give them both a try and decide which is truly the easier pill to swallow. Remember, the quality of ingredients in one’s supplements can greatly impact their overall efficacy! Ulven, Stine M, and Kirsten B Holven. “Comparison of Bioavailability of Krill Oil versus Fish Oil and Health Effect.” Vascular Health and Risk Management, Dove Medical Press, 28 Aug. 2015, www.ncbi.nlm.nih.gov/pmc/articles/PMC4559234/.